Now, more than ever it is time to living a better life. Let - Wellness magazine show you the way. Wellness magazine combines the best of what you can do to enhance your health and/or improve general well-being with the marvels of modern scientific health care. The main goal of Wellness magazine is to popularize a lifestyle of health and well-being through preventative practices. 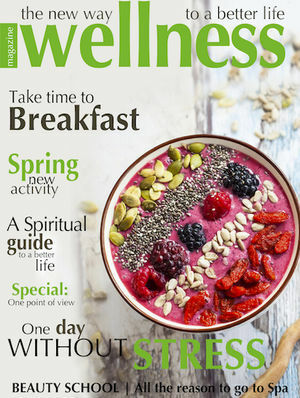 Wellness magazine is written in a self-help format, designed to provide readers with basic information and valuable skills to help them make health enhancing changes in their lives.The premier issue of the magazine was lunched in December 2006. Wellness magazine is targeting women between the ages 26 to 54 with a wide demographic profile, including active women professionals and homemakers. Such a broad circle of readers emerges from the form of the magazine, which proclaims to be a universal guide to healthy life for all the women. Virtually every reader will find an answer to their health and well being related questions. 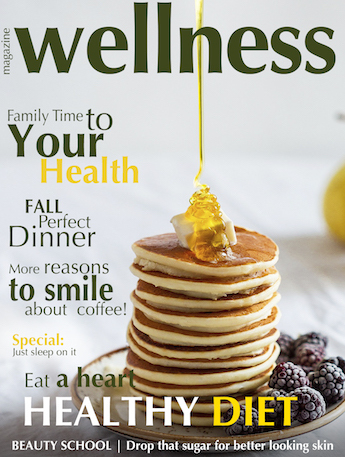 Wellness magazine is the source for advice about healthy lifestyles, preventative practices, stress management, exercise, and body awareness. It is also a perfect guide for the constantly growing market of pro-health and wellness products and supplements.